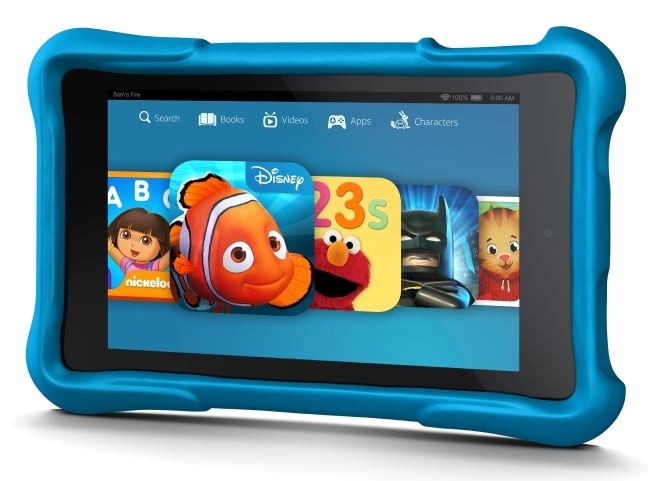 Amazon has announced a special Kids Edition of the Kindle Fire HD. This is essentially the newly announced Kindle Fire HD in 6-inch and 7-inch sizes but with a special rubber case around it to prevent it from being damaged. If, however, your kid does somehow managed to break it, the Kids Edition comes with a two-year, no questions asked replacement guarantee. The Kids Edition also includes a year of Amazon FreeTime Unlimited, a service meant for kids with age appropriate educational apps, games, books, and movies. The FreeTime mode also blocks access to stores so kids don’t end up purchasing anything. The Kindle Fire HD Kids Edition is priced at $149 for the 6-inch model and $189 for the 7-inch model, $50 more than the standard Kindle Fire HD.